We are your number one source of accessibility for any events that you are having! 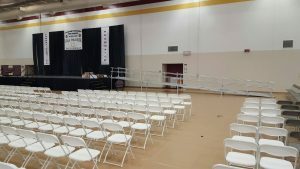 We provide ramps for school graduations, speaking engagements, special events, celebrations, reunions, etc. If you need a ramp to make sure everything goes smoothly and as planned, we can help! RampNOW has worked with Large Hotels, Banquet Halls, Universities, and Concert Venues. We can be sure to find a solution for you! 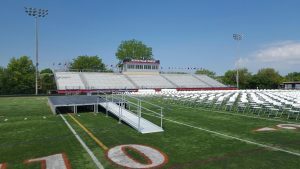 I understand that your company supplied the wheelchair ramp for the Lockport High School graduation ceremony. Thank you for making the stage accessible for our daughter.